Home / Market Insight, Financial Articles / Is CGC Stock the Amazon.com of Pot? Is CGC Stock the Amazon.com of Pot? Pot stocks have lost some of their buzz lately. Just look at the drops in companies like Tilray (NASDAQ:TLRY) and Canopy Growth (NYSE:CGC). TLRY stock is down more than 40% from mid-October highs, while CGC stock is down 33%. Now part of this dip has been due to the recent volatility in the overall markets as investors have gotten much less tolerant with riskier securities. But there are other factors at work. Let’s face it, much of the year has seen a surge in marijuana stocks. So it’s natural for there to be profit taking. Another factor is that the cannabis market is no longer about making projections or bold guesses. With the legalization in Canada, we will soon have some indication of the market dynamics. And if they fall below expectations, there could be further downside with cannabis stocks. So what to do? Well, first of all, it’s important to keep in mind that pot stocks are really for your risk portfolio. Volatility is likely to remain for some time. OK then, what cannabis stock fits the bill? What could perhaps be the Amazon.com of the cannabis industry? For me, CGC stock is the top on my list. Note that in Canada Canopy has tremendous scale (CGC has 2.4 million square feet of licensed facilities and 3.2 million square feet of expansion underway). Canopy Growth also has been aggressive on a global basis, with operations across 11 countries. What’s more, the company has been assembling a portfolio of brands, such as Tweed, Tweet Main Street Shop, Vert and Spectrum Cannabis. 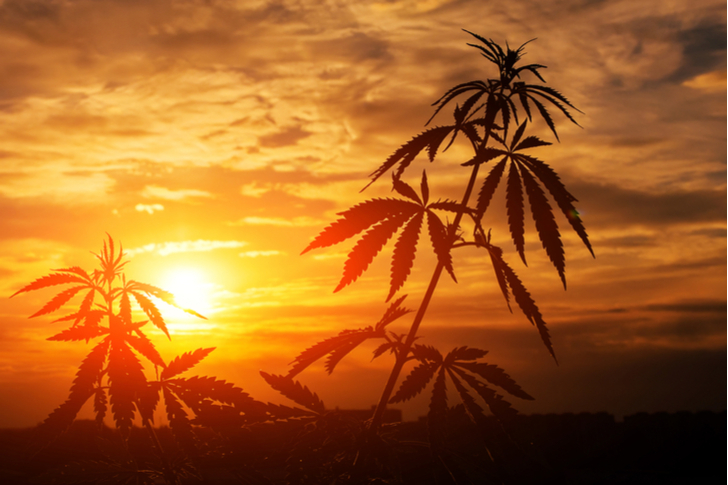 Yet perhaps the biggest advantage — especially for Canopy Growth stock — is the strategic relationship with Constellation Brands (NYSE:STZ), which invested close to $4 billion in the company. This will be critical as there will likely be significant consolidation in the cannabis industry. But STZ also will help CGC distribution. Constellation has extensive operations in the U.S., Mexico, New Zealand, Italy and Canada as well as brands like Corona Extra, Corona Light, Modelo Especial, Modelo Negra and Pacifico. Something else: STZ will provide expertise on M&A, brand building, marketing and production. All in all, these advantages will give CGC a major edge among the many competitors in the industry. Granted, CGC stock is not without risks. There could be difficulties with the STZ relationship, say with cultural disagreements. This is common when there is an arrangement with a small and large company. Next, the valuation on CGC stock is still at nose-bleed levels, even with the recent drop off. Consider that the shares are currently trading at about 208 times sales. In other words, the expectations for Canopy Growth remain quite lofty. But in any new market, the risks are always considerable. Yet the growth potential is also enormous. Based on various estimates, the Canadian market could be worth over $10 billion within five years. And this is where leadership is critical. With a powerful platform, CGC is in a great position to get an out-sized portion of the opportunity — which could mean racking up a couple billion in revenues in the next few years. But making this a reality will take massive resources and expertise, which should come with the STZ relationship. It’s the kind of thing that will set CGC stock apart — at least for now — and give it a big-time advantage in ramping up the growth. Article printed from InvestorPlace Media, https://investorplace.com/2018/11/is-cgc-stock-the-amazon-com-of-pot/.